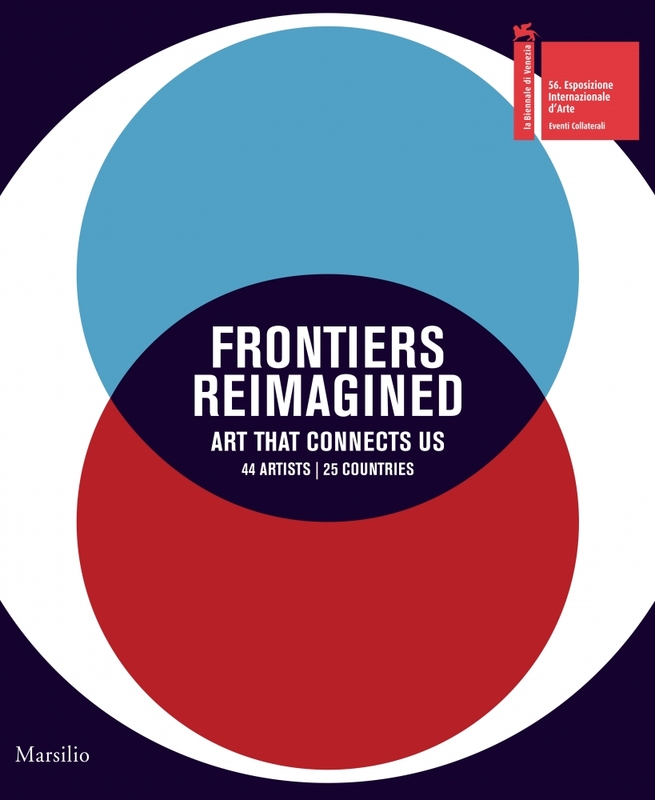 This full-color catalogue accompanies the exhibition Frontiers Reimagined, a Collateral Event of the 56th International Art Exhibition of la Biennale di Venezia, at the Museo di Palazzo Grimani in Venice, Italy, May 9 to November 22, 2015. It incudes essays by exhibition curator Sundaram Tagore; co-curator Marius Kwint; vice-director of the Museo di Palazzo Grimani Maria Cristina Dossi; and a foreword by Giovanna Damiani, former superintendent for the Patrimonio storico, artistico e etnoantropologico e per il Polo museale dell città di Venezia e dei comuni della Gronda lagunare. Frontiers Reimagined examines globalizaton through the work of more than forty painters, sculptors, photographers and installation artists who are exploring the notion of cultural boundaries. These emerging and established artists—who come from a vast geographical area stretching from the West to Asia and Africa—share a truly international perspective, both in their physical existence, living and working between cultures, and their artistic endeavors. Each demonstrates the intellectual and aesthetic riches that emerge when artists engage in intercultural dialogue. Sundaram Tagore is an art historian, gallerist and filmmaker. Born in Calcutta, India, in 1961, he lives and works in New York City, Hong Kong and Singapore, promoting East-West dialogue through his four art galleries and their multicultural and multidisciplinary events. Marius Kwint is an art historian born in Sacramento, California, in 1965. He lives and works in England. Kwint teaches visual culture at the University of Portsmouth. He has held research fellowships at the Houghton Library, Harvard University and jointly at the Royal College of Art and the Victoria and Albert Museum, London. From 1999 to 2008 he was a lecturer in the history of art at the University of Oxford. His interests include the relationship between science and art. The catalogue is on sale at the Museo di Palazzo Grimani bookshop and in Biennale bookshops.